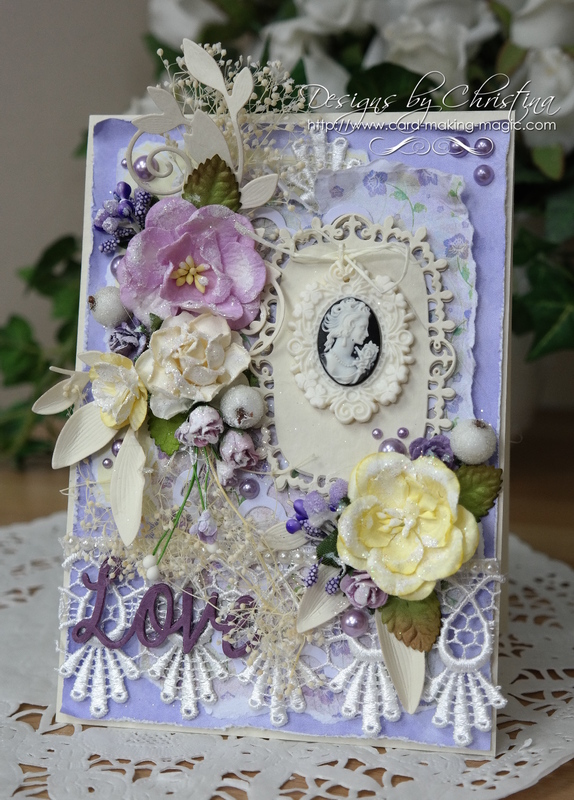 This style of card encourages you to add all the pretty embellishments that you have in your "Stash"
To help you I have added individual video tutorials of the Shabby Chic cards that I have made and they are all there for you to access and follow along with me. Scroll Down The Page !! You may have seen many examples around of this style of card and maybe you like it or maybe you are one of the people who think it is too fussy for your particular way. Or perhaps you just aren't too sure of how to get this many items on one card and still have that classy look. Each of these photos is a clickable link to the video that will show you how each one was created. They are all done in the Shabby Chic style that brings the look of romance to your designs. 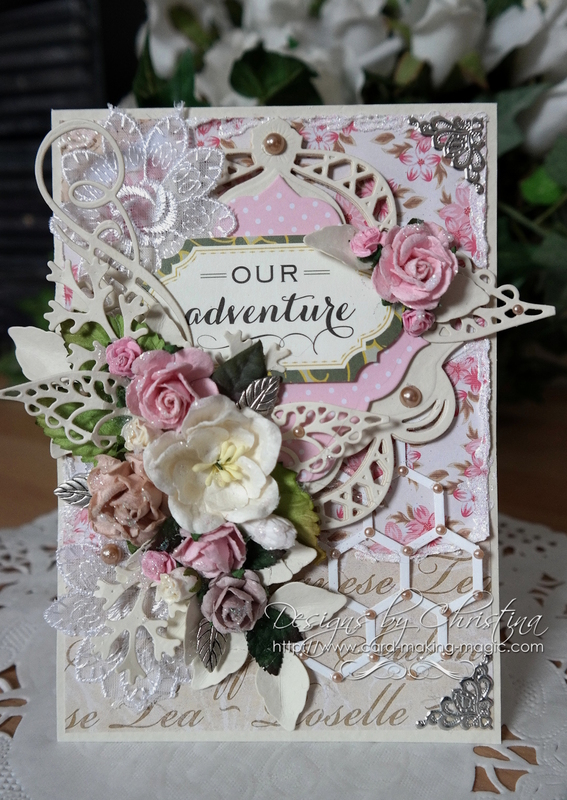 They each use different elements that are brought together to give this soft and vintage feel and you may have many of them already in your crafting "Stash"
Add in pearls or diamante and metal embellishments are always popular on these card. Resin picture frames that will fit on a card are another item you may want to add. And adding raised areas with texture pastes and stencils gives a lovely effect. 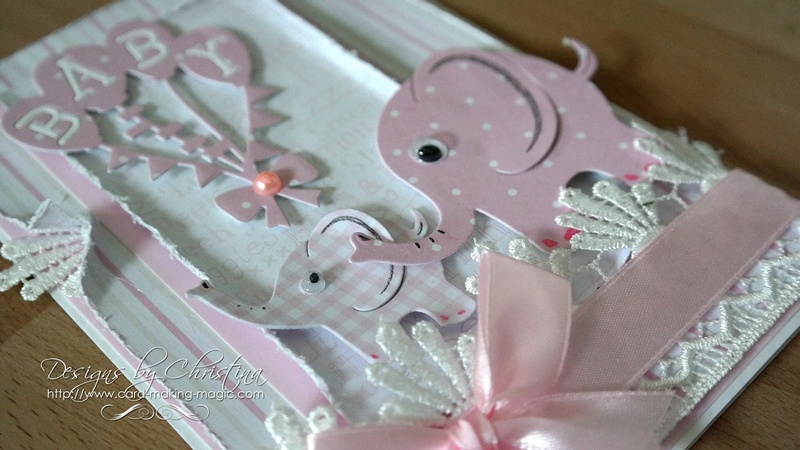 Sprinkle on embossing powder too in the colours that you like. Sprays, tints, water colours, inks, alcohol refills, are just some of the things that you can use to give your designs that personal touch and there are many more items that you can use. String, pasta, sand, egg shells, rice are all things that can be added to a canvas to give it special look and all you need to do is give it a try and play. But most of all you need to have fun and enjoy this creative process and who knows where it will lead you in the months ahead. Wild Orchid Crafts for flowers, leaves, resin frames and metal embellishments, beads, ribbon sliders, lace and brads ..